Tuna often serves as a main ingredient in fish salads, sandwiches, casseroles, and noodles. However, when you are pregnant it is essential to know if it is safe at this time before including it to your diet. It is okay to eat tuna in moderation since it is a highly nutritional fish and an important source of omega-3 fatty acids (EPA and DHA) , protein, vitamins and minerals like selenium, potassium, iodine and magnesium . It does contain mercury, but it may not be harmful when eaten in measured amounts . Eating raw or undercooked fish preparations like seared or smoked tuna (e.g. carpaccio, tartare, tataki) may increase the risk of bacterial infections that may spread through blood, which can be harmful for the mother and the baby . 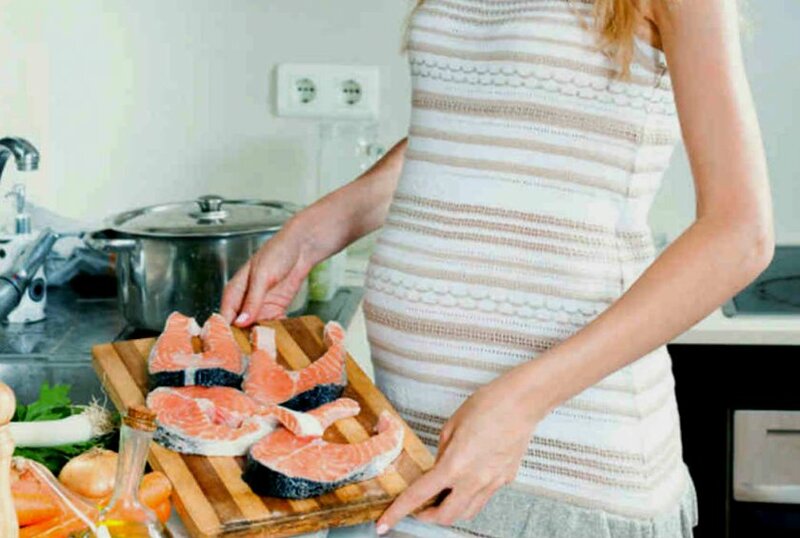 The FDA (Food and Drug Administration) and Centers for Disease Control have advised pregnant women to eat fish cooked to a temperature of at least 145°F since cooking at this range destroys any harmful parasites or pathogens . Tinned or canned tuna is okay in pregnancy when eaten in moderation, though it may not be as good as the fresh ones due to its low omega-3 fatty acids, and high salt content due to preservation . The chunk light variety, made from skipjack and available from different brands, is more likely to meet the above criteria. The chunk white tuna, on the other hand, is prepared with albacore having higher levels of mercury . According to FDA, the 2015-2020 Dietary Guidelines for Americans and the Environmental Protection Agency (EPA) 8-12 ounces (2-3 servings)  is the recommended amount of seafood with low mercury levels that women can have in a week during pregnancy [5, 6, 13]. An increased consumption of tuna may be harmful as ingestion of such high levels of mercury could affect your fetus’ nervous system. It also has certain environmental pollutants like PCBs (polychlorinated biphenyls), and dioxins that might accumulate in your body, coming in the way of your baby’s development if eaten on a regular basis [1, 2].